The Kumu or Komo people inhabit the Ituri rainforests in the eastern part of Congo. They are agriculturalists with animist traditions. 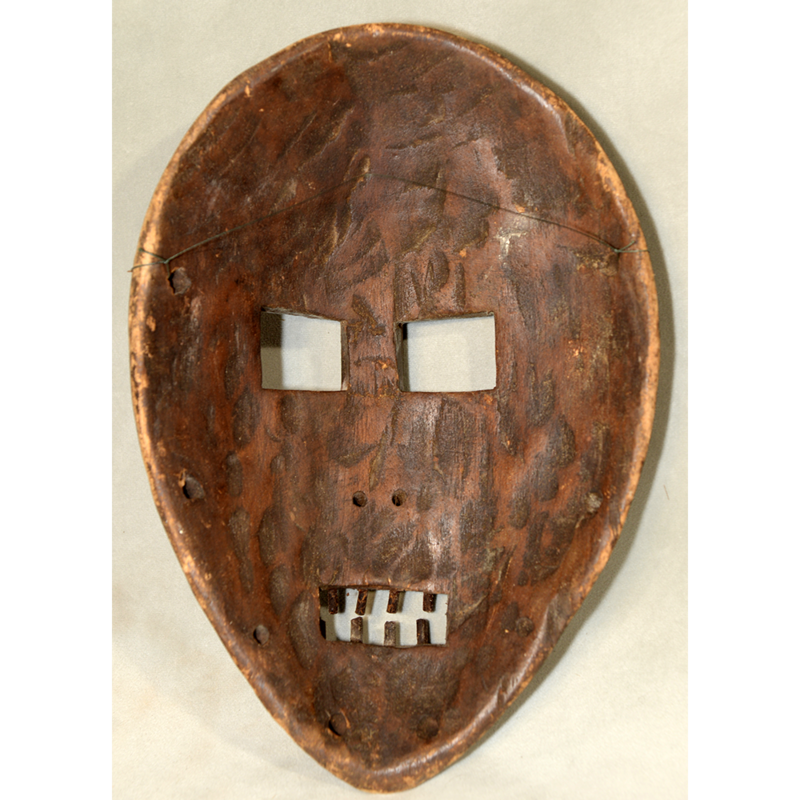 A culturally important ritual for the Kumu people is the circumcision of boys as they enter adulthood. 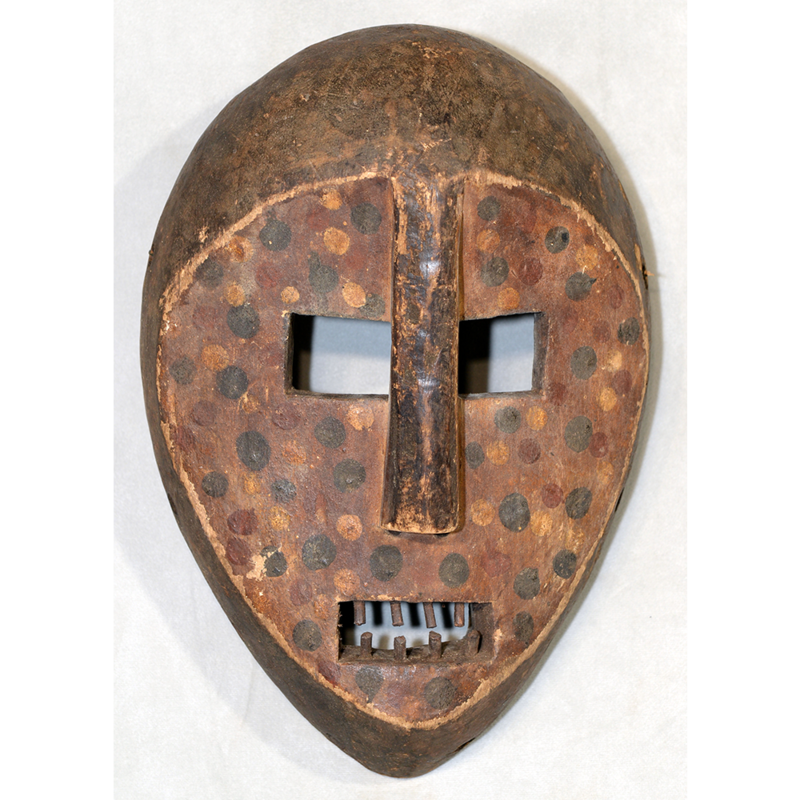 The nsembu mask is used exclusively by members of the Nkunda Secret Society for the purposes of adult initiation. 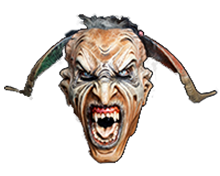 They also use the mask for divination under the effects of hallucinogens. The mask itself represents the diviner’s spirit. 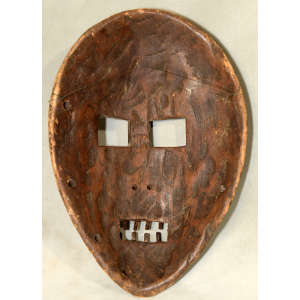 Kumu masks are somewhat rare, but the known examples tend to have wide open eyes and mouths, frequently with sharp teeth.